This epoxy paint completely blocks water and moisture from being absorbed. Works on wood and concrete, above and below water. 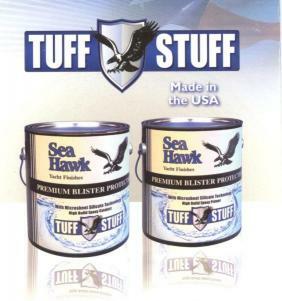 High Build Epoxy Paint..2 Quart Kit..
Cleans up and thins any uncured epoxy products. Approved thinner for High Build Epoxy Paint. Unlike Acetone, this thinner does not weaken the epoxy bond by attacking the chemical reaction. Thins out two part finishes and extends flash time for spray application.